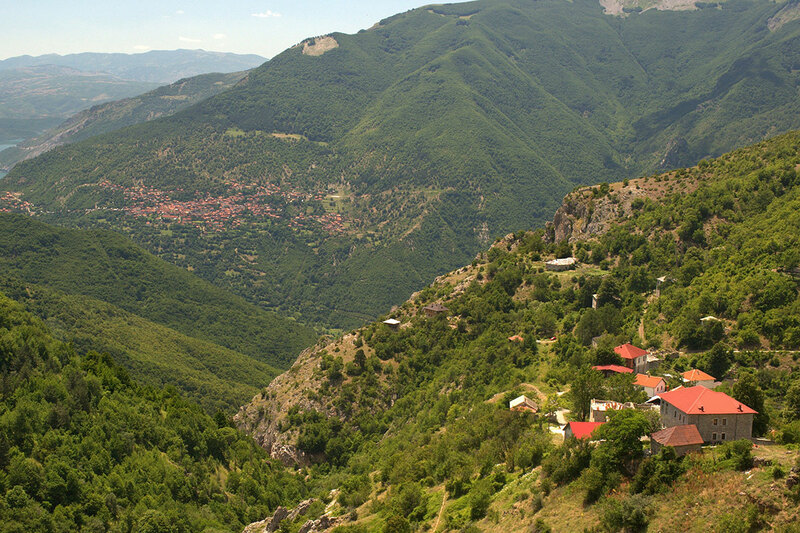 Brajchino is another village in the Prespa region, situated on 1000m altitude above the sea level. The fresh air and the abundance of flora and fauna in the National Park Pelister contribute to the development of exceptional conditions for mountaineering and cycling. Together with the efforts of the friendly people living in this village you will have an incredible adventure. There are several families where you can be accommodated. Traditional Macedonian food specific for this region is one more reason to visit this place. Despite the well known carpe, here is offered the endemic trout from the waters of the Brajchino river. You can be involved in divers activities to get closer to the daily life of the locals, like picking mushrooms or berries for making homemade juice, confiture and liqueur; harvesting herbs or teas for preparing traditional medicines, and so on. During your walks you can also discover the spiritual life of this orthodox village described on the walls of the churches from different centuries. Elshani is one of the most beautiful villages where you can admire the scenic beauty of the National Park Galichica and one of the oldest lakes in the world, the extraordinary breathtaking Ohrid Lake. 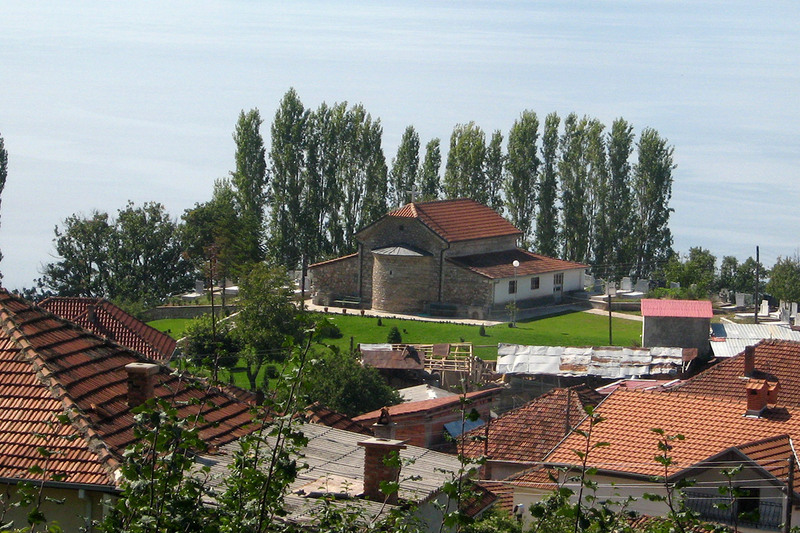 Located 10km from the city of Ohrid, the village is located at 850m above the sea level. Significant part of the inhabitants are involved in the development of the rural tourism. Groups and individuals from all over the world have already experienced the hospitality of the local people and they are witnesses of the tasteful homemade food as well as the homemade wine and rakija, the strong aperitif served for welcome. This is the only village in Macedonia where you can meet the admiring beauty of the National Park riding a donkey. The famous donkey safari, the beautiful landscape and the delicious homemade specialties make this village worth to be visited. Gabrovo is a village with magnificent and impressive environment where you can escape into the wild nature of the mysterious Belasica mountain. 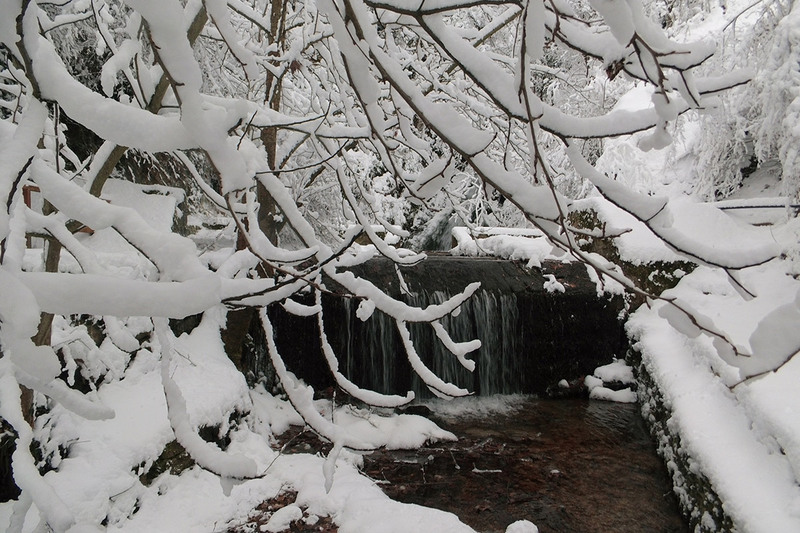 The symbol of the village Is the Gabrovo waterfall where you can find your peace for the sold only by listening the cold water flowing. On a distance of one kilometer there are three smaller waterfalls, high from 4 to 8 meters, accessible for the tourists. The Municipality of Strumica makes significant efforts in order to improve the education of the population of the village for attracting more and more tourists on different levels. This region of Macedonia is considered to be the cradle of agriculture. Many homemade specialties typical for the region are prepared and served together with the warm welcome from the locals, making your stay adorable. Galicnik is a village located in the National Park of Mavrovo, 10km from the artificial Mavrovo Lake and on an altitude of 1450m above the sea level. This is the village where you can find the real story about the Mijaks, the tribe historically inhabiting this mountainous region, well known in the field of architecture, wood carving and icon painting. In the past, the economy of this village relied on livestock, but most of the locals were shepherds surviving from producing cheese, meat and wool products. Today, this quiet and almost abandoned village with breathtaking and well preserved traditional architecture, changes its image during the summer when the popular Galicnik wedding is held on 12th of July, the day devoted to the apostle Peter. Thousands of visitors are willing to get familiar with this old tradition. This magnificent manifestation will leave you speechless. Together with the sounds of the Macedonian traditional music and dance you must not forget to taste the most delicious „bakrdam“, maize porridge with homemade sour milk and homemade yellow cheese or the salt brine white cheese made in the local sheepfold. 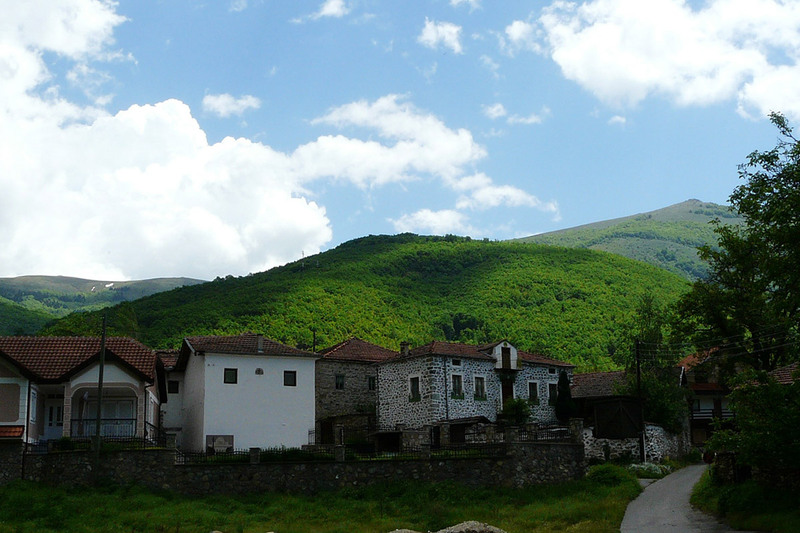 Janche is a small village located in the National Park of Mavrovo. 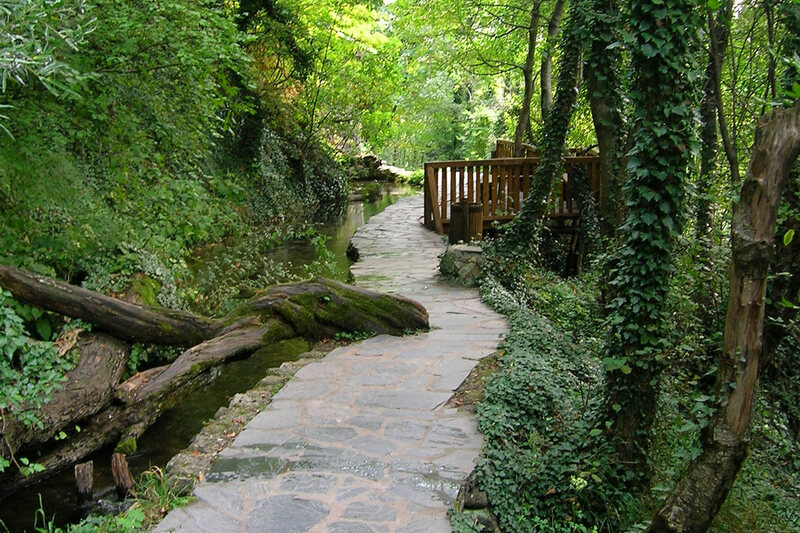 The advantage of visiting this beautiful paradise is the untouched nature close to the cradle of the orthodox spiritual life, the Monastery St John Bigorski, the most visited Macedonian monastery. The fresh air, especially if you are exploring the path that connects Galicnik to Janche, and the silence of the region will open all of your senses. 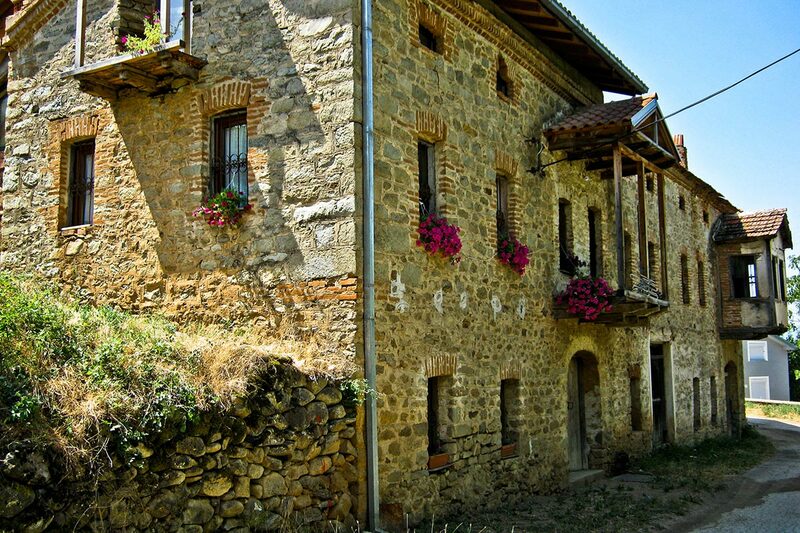 This is also one of the villages in the western part of Macedonia that reveals the beauty of the traditional Macedonian architecture, the houses made of soil, stone and wood. The locals, named Macedonian Muslims, will discover the secrets of their way of living as well as the secrets of the well prepared specialties. Ljubojno is a village where you have the opportunity to experience a real magical beauty. It is located in the Prespa Region, accurately 2km from the Prespa Lake and 5km from Greece on an altitude of 920m above the sea level. 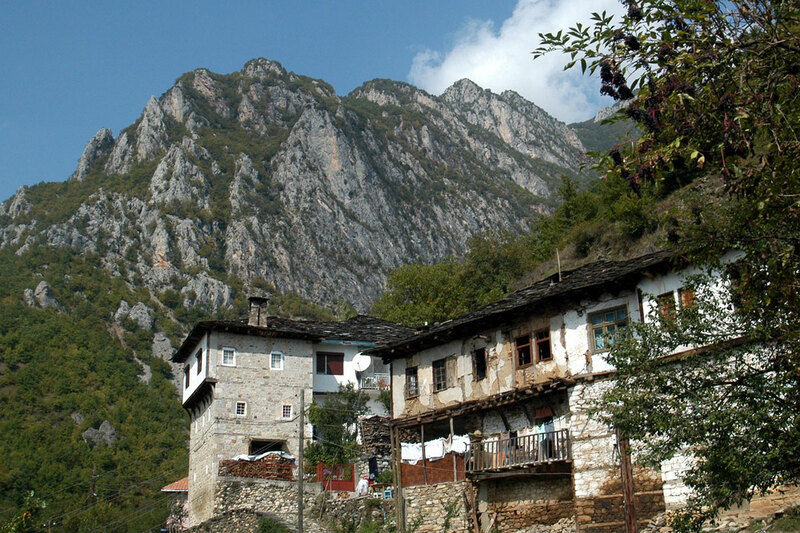 This orthodox village with a surrounding nature declared as eco-zone and typical architecture used to be the richest and most important villages in the area. If you want to taste the delicious „drunk carp“ prepared from the locals, „cironki“ the dried salted small fish, or the delicious apple pie, this is the right place to do it. The village of Ljubojno reveals the secret of love - the true love connected to the origin of its name. 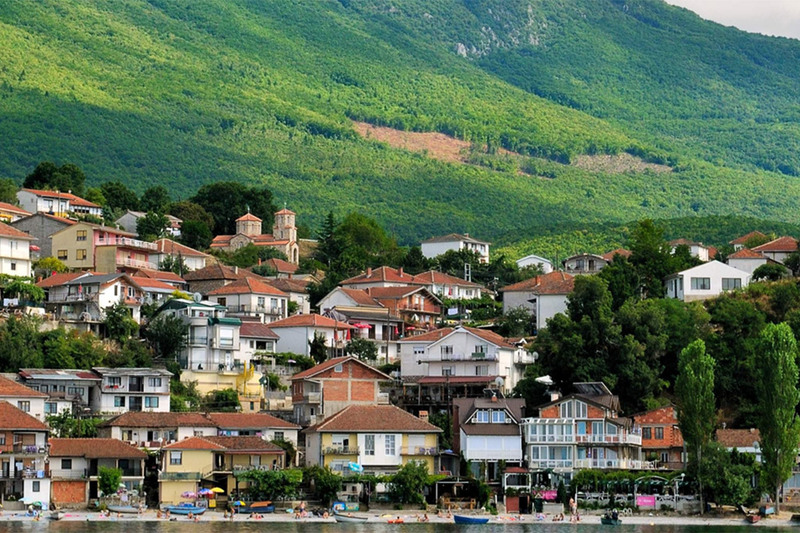 Trpejca is a fishing village located along the shore of the Ohrid Lake. It is known as the Macedonian Saint-Tropez because of its area of outstanding natural beauty. Several small restaurants offer the variety of endemic fish, especially the famous Ohrid trout served as a specialty. The locals are always ready to reveal the stories of the fishing tradition, but also to take you on a short trip by the small boats recognizable for the lake. Vevchani for centuries has been a pure Christian orthodox village surrounded by Muslim villages. After the fall of the Communism, the inhabitants of this village voted to create “The Republic of Vevchani”. They created local currency sold as a souvenir as well as the famous passport in order to attract more tourists. Vevchani is the host of the well known manifestation held for over 14000 years on 13th and 14th of January, the Vevchani carnival. This time of the year, the beautiful narrow streets of this village are turned into a scene on which the residents present their masks. This carnival is an interesting mix of paganism and modernism and is the most famous manifestation on which disguised people perform plays like real actors. Despite the culture and the authenticity, this village is recognizable by its traditional architecture that discovers the long tradition of masonry. With its location at the foot of the Jablanica mountain range and the natural symbol of the village, the springs, and together with the hospitality and the friendliness of the locals, Vevchani deserves your attention to be explored.